Applied in glass believing edging machine for polishing all kinds of glass edges. 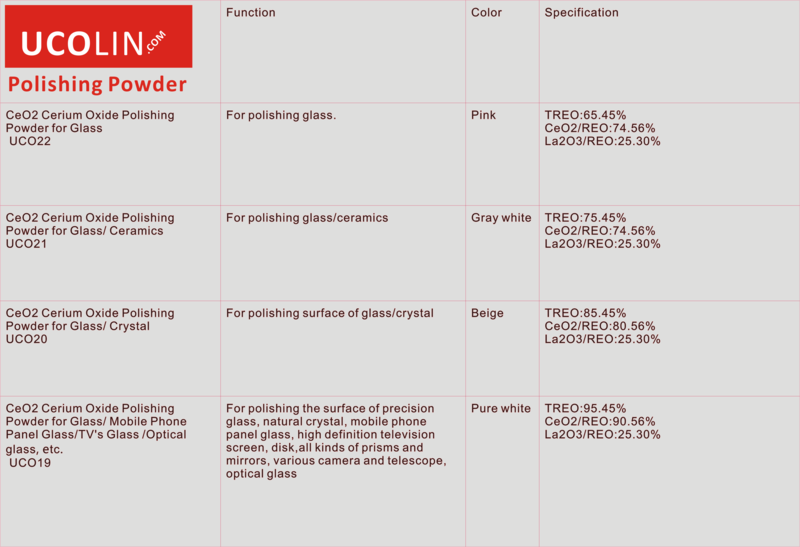 Implication1- For glass industry additives, for plate glass polishing materials,has been extended to implied in precision glass, optical glass, optical lens, tube grinding,bleaching, clear, glass UV absorption lines and the role of electronic. Implication2-For anti-reflective glasses lenses agent, and CE made of titanium yellow to pale yellow glass. Implication3-Used in ceramic glazing and electronics industry, as agents penetrating the piezoelectric ceramic. 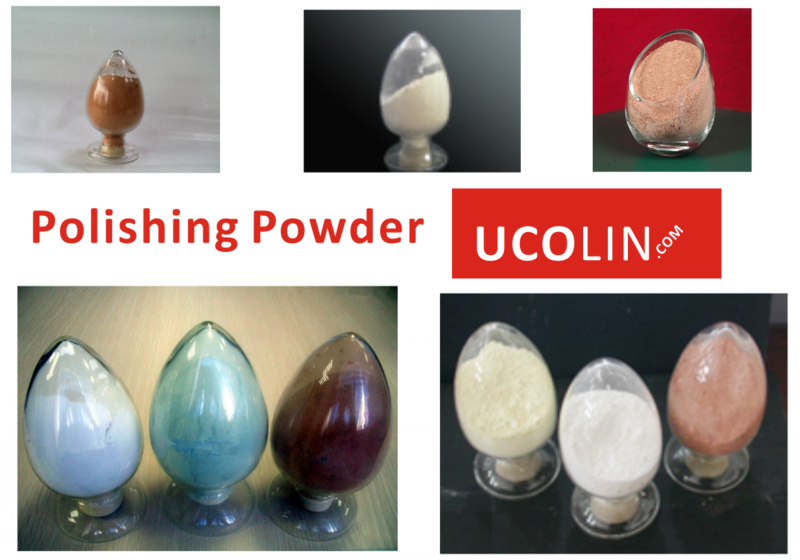 Implication4-For the manufacture of high-activity catalyst, gas mask incandescent lights, X-ray with the screen. Operation1-Try to reduce the dust emission in the air, for example, by adopting wet process or closed operation system. Operation2-Provide vacuum collecting equipment in places with dust generation possibility, and provide personnel with appropriate dust filtration respirator. Operation3-Wash hands before eating or drinking anything and going off work, clothing with dust should be taken off and washed. Storage1-A proper container should be used and marked. Storage2-A closed container or area should be used for storage and protected against collision. 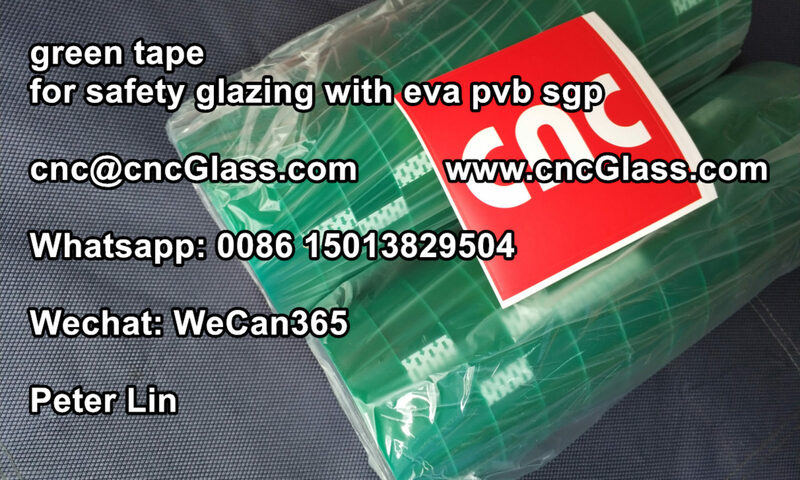 Main Products: Silicone vacuum bag for EVA laminating furnace, Silicone Sheet, Glass Edging Wheels, Polishing Powders.